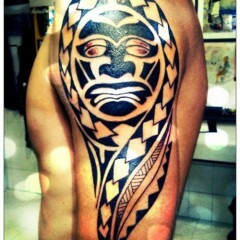 Traditional Samoan tattoo inked with a Maori design on the upper part of this man’s arm. 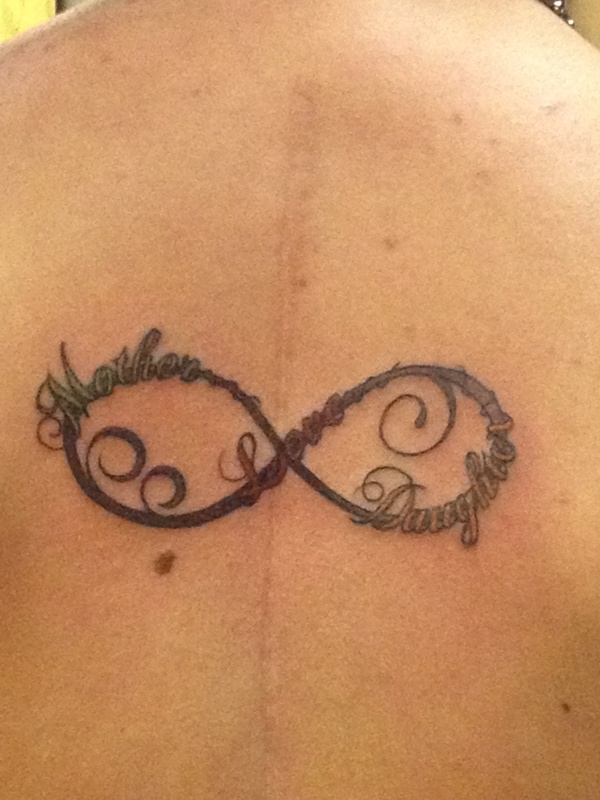 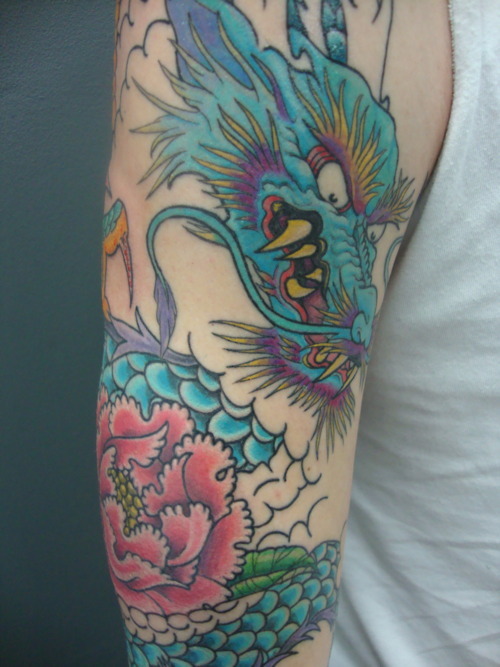 The armband tat is inked in black. 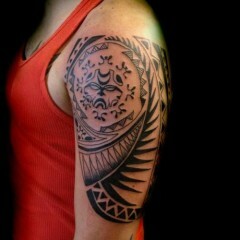 This armband tattoo is a good example of a traditional Samoan or Maori tattoo. 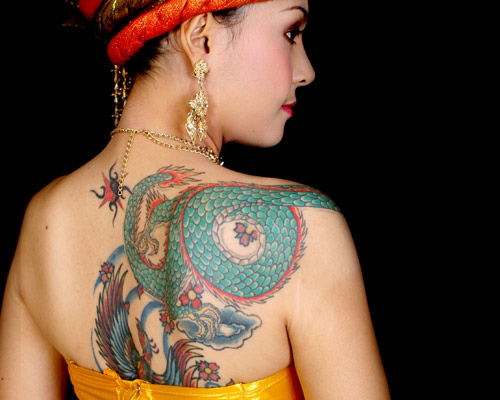 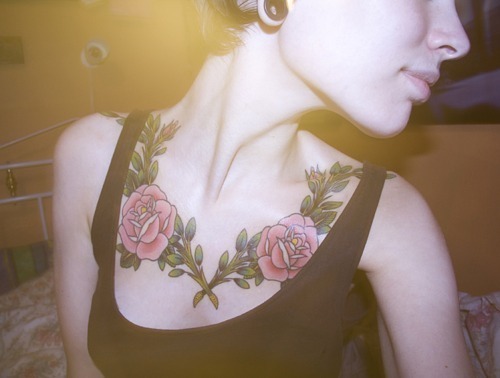 The tattoos traditionally have a tribal appearance making use of geometric patterns and sometimes even designs inspired by nature. 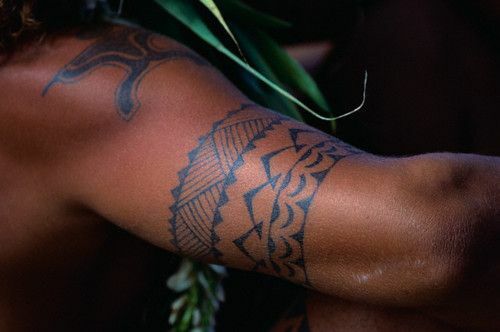 The Samoan Maori tattoo on this man’s arm features straight lines and triangles, as well as wave-like curves and pointed shapes that look like mountains. 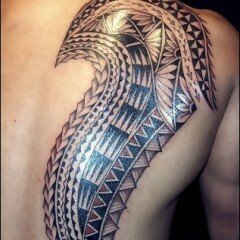 The Maori tattoo is inked as an armband and uses black ink only. 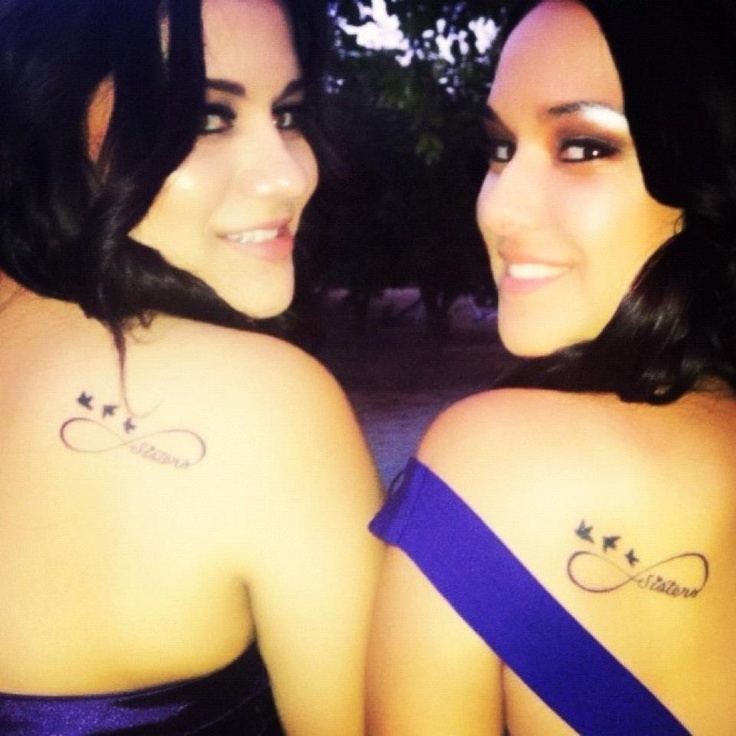 Among the Samoans and Maori people, tattoos were a sign of honor, a mark representing a person’s status among their tribe, whereas today, many people get tattoos just because they like the way they look. 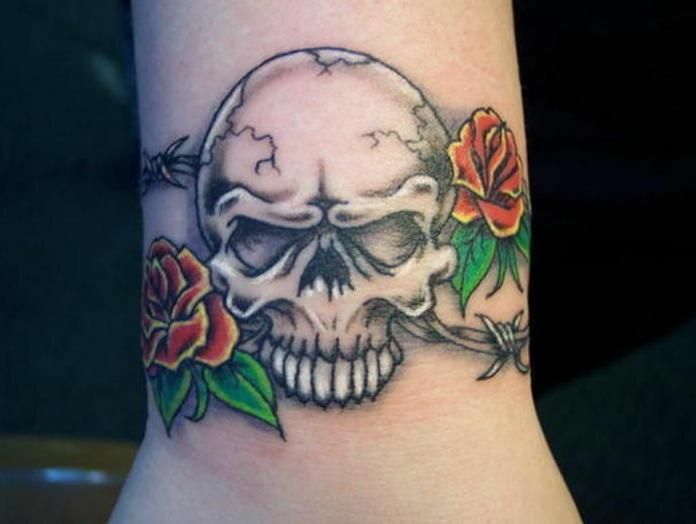 Among Samoan cultures, men and women were traditionally tattooed as a symbol of their strength and courage, while the Maori people of New Zealand commonly used tattoos to mark the trasition from childhood to adulthood.